In this age of the anthropocence – in this complex ‘modern’ world – how might groups understand their pasts and presents as gathering futures that fuse humans with things? A fusion that either adds time or takes it away from being human. 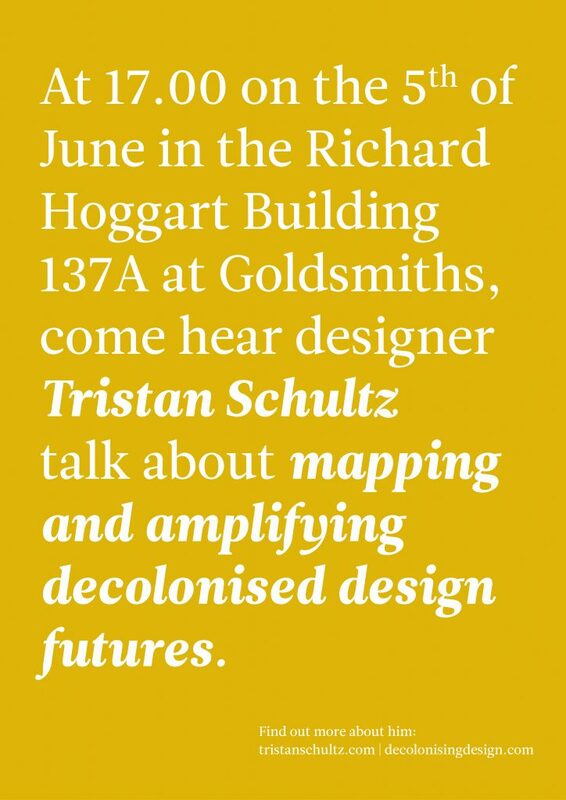 In this talk, interdisciplinary designer, strategist and decolonising design member Tristan Schultz will explore decolonial mapping and designing techniques that can help people grapple with these kinds of questions.